By late 2002 I’d been a Michael Jackson fan for just one year. His last album of new material, Invincible, was released a year prior. Sadly, this ended up being the first and only time I had the privilege of experiencing the release of a studio album that Jackson himself had given his blessing. 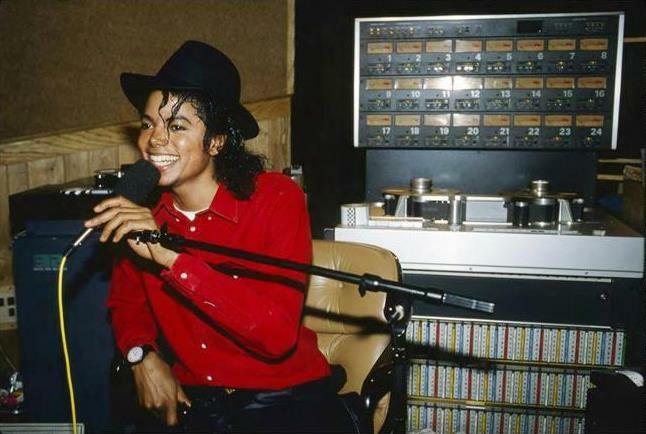 The recording sessions for Invincible are rumoured to have been some of the most fruitful of his career, producing dozens of musical pieces, many of which the public are still yet to hear. Due to nefarious actions that are yet to be fully uncovered, one such piece of music, a full and complete song that was not released on the album, leaked to the public. The song was titled Escape. In response, Michael Jackson issued a statement outlining his disappointment with the leak. As much as I loved hearing this masterpiece of a song, its premature release clearly hurt him. Jump forward five years, and it’s 2008. Michael is beginning the process of working with a range of contemporary producers to potentially flesh out a new sound for his upcoming studio album. Among these producers is the R&B hit-maker Akon. Michael spent weeks in the studio with Akon crafting the sublime ballad Hold My Hand, which would end up having its own sad history despite its uplifting nature. Not only would the song suffer the same fate as Escape and prematurely leak to the public, but it would eventually go on to serve as the lead single from his ill-fated first posthumous album of new material, Michael. Jackson family members and many fans would agree that Hold My Hand was a song Michael cared deeply about. Since then, there have been many more song leaks, some when Michael was alive, but most after his death. These leaks continue to be the source of debate amongst the Michael Jackson fan community. Today another Michael Jackson song leaked, but this time a piece that was worked on during the Dangerous sessions called Ghost of Another Lover. The leak occurred due to an attendee of a Michael Jackson convention recording the song whilst it was played for the audience by one of Michael’s studio engineers. They did this against the wishes of the convention organisers and the engineer. I won’t name the person who recorded it, the engineer who decided to play it or the event at which it was played, as I don’t think these are crucial elements of the scenario. Like times previous, rich debate is currently taking place within the Michael Jackson fan community around how leaks should be handled, and for good reason. Seldom does widespread public debate over the ethical nature of something occur when there’s some simple, logical answer regarding the correct way that thing should be. I feel this conflict over leaks acutely as not only am I a Michael Jackson fan who desires to honour and respect Michael’s artistic privacy, but I am also a historian, who recognises the immense cultural value Jackson’s art has, at any stage of completion. Ultimately, I do feel that if previously unreleased Michael Jackson material is to be played for a paying audience, it should first have the approval of his Estate beneficiaries with the full knowledge and understanding of the risks involved regarding potential leaks. That’s fairly black and white for me. No conflict there. But it’s after leaks happen where things get murky. Michael Jackson’s music grows legs of its own. And with good reason, because it’s usually excellent music. In the age of digital file sharing and social media, there’s no stopping how far and wide this material can reach. In an instance such as today, when a previously unheard Michael Jackson song leaks, I believe that it’s a matter of historical importance that knowledgeable fans, scholars of Michael Jackson, deconstruct and analyse the material so that a historically accurate narrative can be built. As an example, Ghost of Another Lover today leaked with completely the wrong title! A fan uploaded it as Ghost of Another Girl. Knowledgable Michael Jackson fans picked this up swiftly. Not only this, but there’s a certain inevitability to leaked material being discussed. It’s pointless to think it won’t be. Sharing and discussing leaks is inevitable, and both are very, very different behaviours to facilitating or instigating a leak. Yet at a deeper level, it’s the ethics around actually releasing Michael’s previously unheard work at all that interests me. Earlier I opined that Michael’s estate beneficiaries should have the final say. And this is true for now, especially in our lifetimes where there are many people still alive directly connected to him. Artistic collaborators, close friends, business partners, fans and most importantly…family. Yet Michael is now gone, and it can’t be argued that his art doesn’t have immense historical value, even his unreleased material including demos which serve the purpose of teaching us how he created, flaws and all. Ethically, at what point does it become acceptable for his unfinished work to actually come out without debate? Would anybody disagree now with an unfinished Michaelangelo piece being displayed in an art gallery for scholarly debate? I don’t think so. A lot of this debate comes from the fact that Michael has so recently passed away and many people in some way feel emotionally connected to him and naturally want to defend or protect his wishes. The MJ fan side of me certainly feels that, but as previously mentioned, the historian in me feels the importance of learning as much about his genius as possible, especially while his artistic collaborators are here to engage in dialogue around his work. Like I said, conflict. There is no easy answer. There will be more Xscape, Hold My Hand and Ghost of Another Lover moments in the future and opinions will vary around these leaks depending on who you talk to. But suffice it to say, while people are around who are still emotionally connected to Michael Jackson as a person, the best people to judge whether his unreleased art should be seen by the public are those who were closest to him, those whom he left his Estate to, his beneficiaries. This entry was posted in Op-eds, The MJCast, Uncategorised and tagged Escape, Ghost Of Another Lover, Hold My Hand, Leaks, Michael Jackson by Jamon Bull (Admin). Bookmark the permalink. It sickens me that people can get away with leaks of Michael’s songs. I wish stiff charges could be brought against then but with social media that’s impossible. Hopefully, the justice system will catch up with this illegal behavior and put a lasting stop to it. I think more about his children and what it does to them. Their dad’s songs being leaked out without his consent. It’s not right.